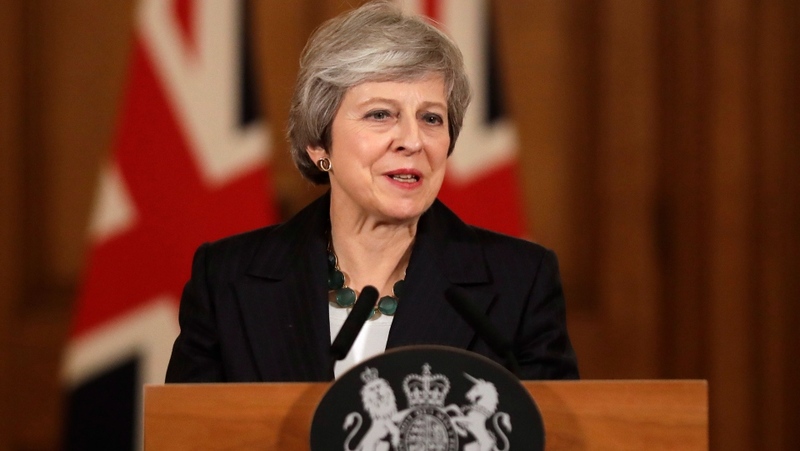 LONDON -- Prime Minister Theresa May defied mounting calls to quit or change course Thursday over Britain's withdrawal from the European Union, warning that abandoning her Brexit plan would plunge the country into "deep and grave uncertainty." Britain's long-simmering divisions over its future in the EU erupted into turmoil just a day after the government agreed to a divorce deal with the bloc. Two Cabinet ministers resigned and some lawmakers from May's own party called for her to be replaced. 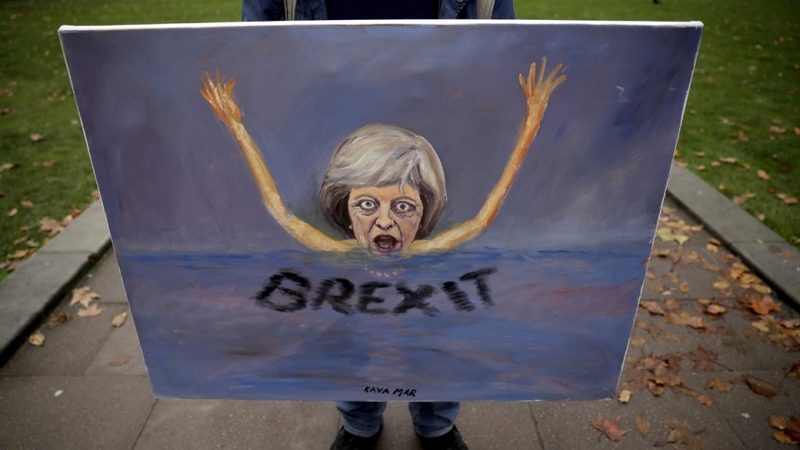 The crisis threatened to destroy the Brexit agreement, unseat the prime minister and send the U.K. hurtling toward the EU exit without a plan. In an evening news conference aimed at regaining some control, May said she believed "with every fiber of my being that the course I have set out is the right one for our country and all our people." The hard-won agreement with the EU has infuriated pro-Brexit members of May's divided Conservative Party. They say the agreement, which calls for close trade ties between the U.K. and the bloc, would leave Britain a vassal state, bound to EU rules it has no say in making. May insisted that Brexit meant making "the right choices, not the easy ones" and urged lawmakers to support the deal "in the national interest." But she was weakened by the resignation of two senior Cabinet ministers, including Brexit Secretary Dominic Raab. Hours after he sat in the meeting that approved the deal, Raab said he "cannot in good conscience" support it. Work and Pensions Secretary Esther McVey followed Raab out the door. She said in a letter that it is "no good trying to pretend to (voters) that this deal honours the result of the referendum when it is obvious to everyone that it doesn't." 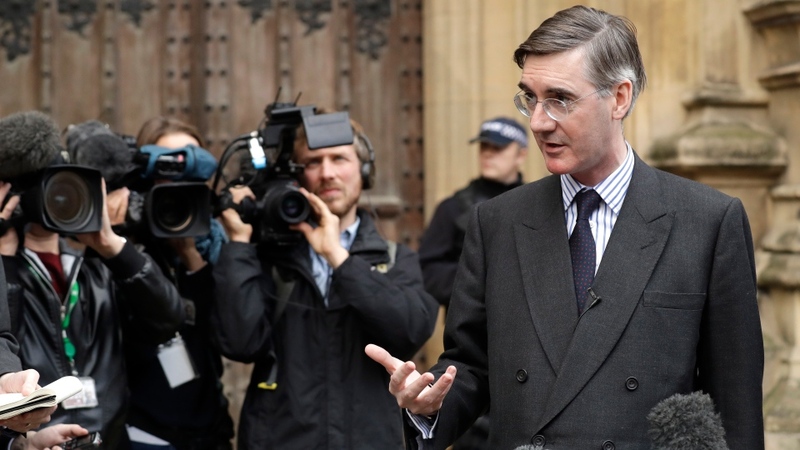 Rees-Mogg said May's deal "is not Brexit" because it would keep Britain in a customs union with the EU, potentially for an indefinite period. He said May was "losing the confidence of Conservative members of Parliament." Under Conservative rules, a confidence vote in the leader is triggered if 15 per cent of Conservative lawmakers -- currently 48 -- write a letter to the party's 1922 Committee of backbenchers, which oversees leadership votes. If a confidence vote is held and May loses, it would trigger a party leadership contest in which any Conservative lawmaker -- except her -- could run. The turmoil is the latest eruption in the Conservative Party's long-running civil war over Europe. Ever since Britain joined what was then the European Economic Community in 1973, the party has been split between supporters and opponents of Britain's membership. In 2016, then-Prime Minister David Cameron called a referendum "to settle this European question in British politics" once and for all. He was confident the country would vote to remain, but voters opted by 52 per cent to 48 per cent to quit the EU, a result that left both the Conservatives and the country more divided than ever. Cameron's successor, May, has been struggling ever since to deliver a Brexit that satisfies those who want to leave, reconciles those wanting to remain and doesn't rock the economy -- a near-impossible balancing act. 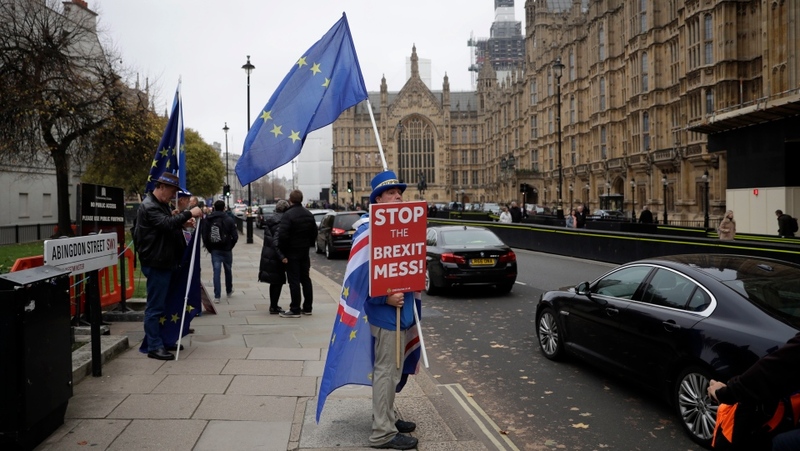 Thursday's political mayhem prompted a big fall in the value of the pound, which was trading 1.5 per cent lower at $1.2797 as investors fretted that Britain could crash out of the EU in March without a deal. That could see tariffs on British exports, border checks and restrictions on travellers and workers -- a potentially toxic combination for businesses. May and her supporters say the alternatives to her deal -- leaving the bloc without a deal or a second vote on Brexit -- are not realistic options. If the agreement was abandoned, "nobody can know for sure the consequences that will follow," May said. "It would be to take a path of deep and grave uncertainty when the British people just want us to get on with it." The deal requires the consent of the European Parliament, whose chief Brexit official, Guy Verhofstadt, welcomed it as "the best agreement we could obtain." It also needs approval from Britain's Parliament before the U.K. leaves the bloc on March 29 -- and even if May survives as leader, the chances of that look slim. Her Conservative government doesn't have a parliamentary majority, and relies on the support of the Democratic Unionist Party from Northern Ireland. 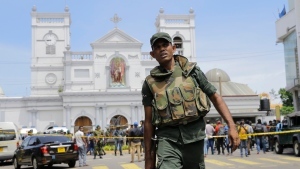 Opposition parties also signalled they would vote against the agreement. An EU official warned that Britain was unlikely to get a better deal. Speaking on condition of anonymity because the process is still ongoing, the official said both sides "exhausted our margin of manoeuvr under our respective mandates." "All I can say is that the EU is prepared for a final deal with the U.K. in November," he said. "We are also prepared for a no deal scenario -- but of course we are best prepared for a no-Brexit scenario."